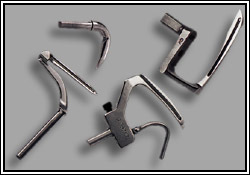 Bill's Sewing Machine Company offers a complete line of sewing and cutting parts and accessories as well as products for any and all sewing and cutting room needs. 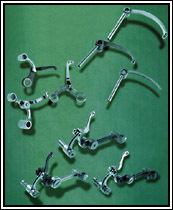 Bill's Sewing Machine Company stocks parts and accessories for all your needs. 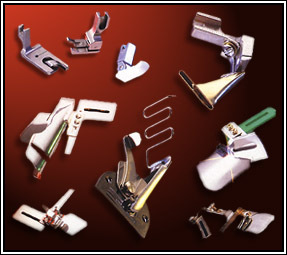 From loopers, thread-guides and take-up levers, to hooks, needles, thread stands, bobbin cases and bobbin case openers, Bill's Sewing Machine Company has the parts and accessories you need. Bill's Sewing Machine Company stocks scissors for all your cutting needs. From Thread Nippers to Straight Trimmers and Bent Trimmers to Carpet Shears, we have what you need. 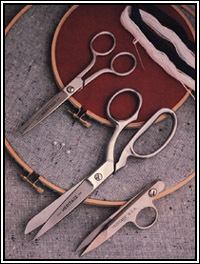 Bill's Sewing Machine Company carries scissors and shears from Wiss, Heritage Cutlery and Marks. 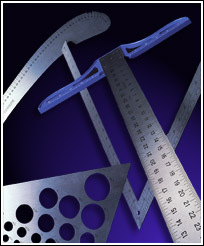 Measure for measure, Fairgate Rule Company delivers quality, precision, dependability and an expansive product line- available at Bill's Sewing Machine Company. Manufactured on highest quality light-weight aluminum. large, easy to read numbers. accurate calibrations in 8ths and 16ths for English rules and millimeters and centimeters for metric rules. For more than seventy years Phillocraft has provided premium quality products at very competitive prices. The Ergo Pro Line of seating incorporates that same philosophy. Manufactured by Phillocraft in Statesville, North Carolina, Ergo Pro Chairs provide maximum comfort and durability, that greatly increase worker productivity, and at the same time, reduce fatigue. Every Ergo Pro Chair includes a contoured back with accented lumbar support, waterfall designed seat, premium quality foam (2.7 lb. 50 ILD.). and a full range of optional height and tilt mechanisms. Foot rings and arm rests are also available, and can be added to all models. 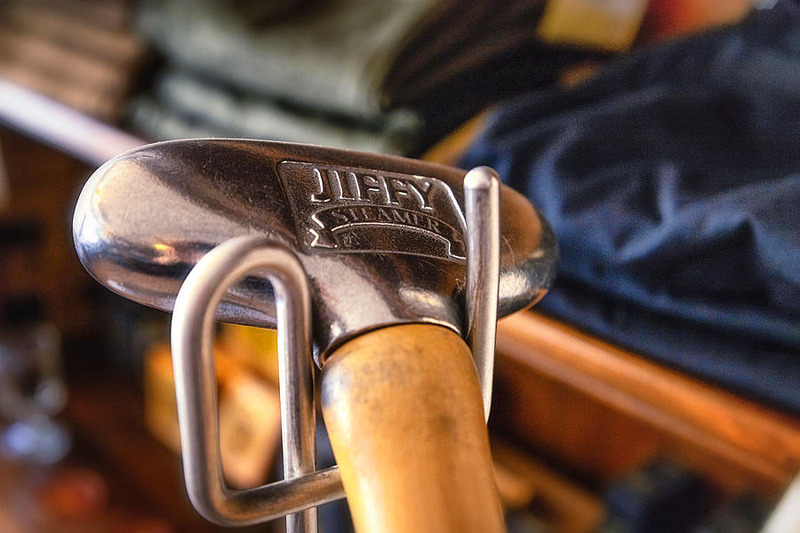 Jiffy's warm, moist steam relaxes cold, stiff polyester type backing to speed installation. Jiffy's steam works on secondary backings of spun-bound polypropylene. makes it easy for manual stretching. Eliminates expensive power stretchers. Dries smooth and tight. Jiffy's steam helps take out bubbles where the paraffin type back does not readily adhere to the cement. Gentle steam fluffs, springs out the pile, makes fabrics glow. Brings new beauty to crushed samples, especially new soft denier carpeting. Showrooms should have a Jiffy Steamer for regular use. Portable and light-weight. There are sewing problems which cannot be solved completely by using regular sewing machine needles. As an additional alternative SCHMETZ therefore developed the SERV7 needle. SERV7 needles should be used for all kinds of elastic materials like Lycra and elastics with rubber threads, all stretch materials, jersey, drapes and flexible synthetic materials to avoid skipstitches. SERV7 needles should also be used for tacking, belt loops, pocket-setting, seam crossings, side-seaming, leg hemming and for multidirectional sewing on all automatic sewing machines.